Under the leadership of Kim Beazley, ALP Members did not cross the floor on the passing of the Terror laws in Federal Parliament. We think we're owed some serious answers about this - to every citizen in Australian electorates. There are some speeches from senior party members and ALP leaders, that should have given cause to think that the Federal ALP would have moved heaven and earth to oppose the laws. On this page two speeches: one given to the Eureka Stockade Memorial Association in December 2005 by Dr Barry Jones, and Dr Carmen Lawrence's Second Reading speech in The House. Peter Lalor and the Eureka Stockade: What happened to the Australian radical tradition? 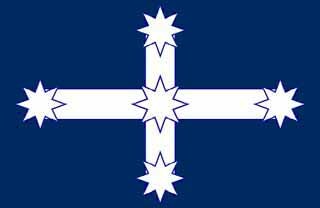 This is a full transcript of Dr Barry Jones' speech to commemorate the 151st anniversary of the Eureka Stockade in Ballarat, given to the Eureka Stockade Memorial Association. I begin by paying my respects to the Wathaurong people, traditional owners and custodians of this land. Thank you for the invitation to speak today. This is the second time I have delivered an address about Eureka in Ballarat. The first was in December 1987, when I was a Minister and Federal MP for Lalor. The organizers presented me with a large copy, three by two metres, of the Eureka Flag which Peter Lalor had unfurled at Bakery Hill 133 years earlier. I was touched but thought that the flag ought to be displayed prominently rather than being kept at home and I gave it to Patrick White who proudly displayed it at Centennial Park, Sydney, deeply conscious of how much it irritated his neighbours. On Sunday, 3 December 1854 at 3.00 a.m. at Eureka, troops and police attacked a stockade in which about 140 diggers were sleeping, killing about thirty and taking one hundred prisoners. Peter Lalor, commander in chief of the diggers, was shot in the left arm: he escaped, but his arm had to be amputated at the shoulder. Peter Lalor had been born in Raheen, Queen's County, in 1827, one of eleven sons (apparently there were no daughters) of Patrick Lalor, MP 1832-35. He became a civil engineer. Three of his brothers went to the US. His eldest brother Fintan became a leader of the 'Young Ireland' movement, but Peter Lalor seems not to have been politically involved in the reaction to the terrible famine of 1848. Lalor arrived in Melbourne with his brother Richard in 1852, worked on the Melbourne-Geelong railway then became a partner in a wine, spirits and provision merchants. Richard returned to Ireland and became a Parnellite MP 1880-92 and Home Ruler. Peter moved to the Ovens diggings, then to Ballarat in 1854. The Ballarat Reform League expressed the resentment of 12,000 diggers at Ballarat about the imposition of a 'poll tax' (licence fee), arbitrary interference by police and officials, and denial of the right to vote. A protest at Bakery Hill on 29 November was marked by flying the Southern Cross flag, and much of the digger sentiment was, as Ian Turner wrote in his entry on Lalor in The Australian Dictionary of Biography, '...overtly Chartist in its demands and, some said, covertly republican'. Resolutions were carried for diggers to burn their licences and to make common cause with any digger arrested for not having a licence. Lalor, perhaps surprisingly, because he was neither Chartist nor republican, was appointed commander-in-chief and led 1500 miners (plus a few spies and informers) to Eureka where a stockade was improvised as protection against what appeared to be inevitable attack. Numbers fell away, and when attack came it was unexpected. Lalor, as mentioned earlier, got away. Lieutenant-Governor Sir Charles Hotham offered a reward of <£>200 for information leading to the capture of Lalor, spelled Lawlor in the 'Wanted' notice, to get the sound of the name right, for his use of 'treasonable and seditious language, and incite Men to take up Arms, with a view to make war against Our Sovereign Lady the Queen'. Ultimately, twelve diggers and the journalist Raffaello Carboni, were charged with treason. All were acquitted. Lalor was never tried. Lalor became MLA for Ballarat 1855-56, North Grenville 1856-59, South Grant 1859-71; 1874-89, and was also a land and mining agent. His political views were generally conservative, but not at all consistent. He opposed payment of MPs and state aid for religious schools, supporting a national system. He supported plural voting on a property franchise and a six months residential qualification. He was anti-Semitic. He denied that he was a democrat if that meant 'Chartism, Communism or Republicanism', but that he was a democrat if it meant 'opposition to a tyrannical press, a tyrannical people or a tyrannical government'. This is the time to explain that the Chartists were members of a radical, popular movement in England which, in 1838, set out six demands: manhood suffrage, equal electoral districts, secret ballot, no property qualification for voters or candidates, payment of MPs and annual Parliaments. Chartists held huge, peaceful demonstrations in 1848. Note that the elements in the Charter were all political, not economic. A supporter of Graham Berry, Lalor was Chairman of Committees 1859-68. Commissioner for Customs 1875; 1877-80 and Postmaster General 1877-80. He became Speaker of the Legislative Assembly 1880-87, declined a knighthood but received a <£>4000 Parliamentary grant (a huge sum at the time) in 1888 to cover his debts. A diabetic, he sailed to San Francisco on a health cruise, but died in Melbourne in 1889 soon after returning. Raffaello Carboni (1817-1875), born (like Raphael the painter) in the beautiful hill-city of Urbino, in Le Marche, was a journalist and publicist who prudently missed the killings at the Stockade, but wrote the best known account of the event. He returned to Italy, played some role in the Risorgimento and died in Rome. Henry Richard Nicholls (1830-1912), a London-born journalist and editor, son of a socialist, had been an ardent Chartist, migrated to Melbourne in 1853 and edited the Diggers' Advocate. Originally an advocate of 'doctrinaire internationalism', according to Weston Bate's ADB entry, he and his brother enrolled at the Stockade, but then withdrew. He petitioned for an amnesty for Lalor and the other Stockade leaders, organized the first memorial pilgrimage, exactly 150 years ago, and became a journalist and editor in Ballarat and Melbourne, and owned a hotel in Little River. He stood against Lalor in the South Grant seat in 1880. He became editor of the Hobart Mercury in 1883. He campaigned vigorously for public education, emphasizing individualism rather than collective activity, anticipating Margaret Thatcher's claim that 'there is no such thing as society', only individuals. He was charged with contempt of the Arbitration Court in 1911. The H R Nicholls Society, a far-Right pressure group and think-tank, is named for him and this has helped to promote the idea that Eureka was a conservative reaction by small businessmen against State interference. This might be a half, or quarter, truth. While Lalor was no radical, and certainly not a Chartist, he could see the manifest of official harassment of the diggers and the Stockade was an understandable act of self-defence. But there was a Chartist spirit in the air and there was a significant radical period in Australia from the 1850s until the outbreak of World War I. Elements of the Charter were adopted in the Australian colonies long before Great Britain - the secret ballot, payment of MPs, manhood suffrage, and abolishing the property qualification for Members of the Legislative Assembly. Females were given the vote in South Australia and Western Australia in the 1890s and the Commonwealth adopted female suffrage in 1902. Equal electoral districts (one vote = one value) took a long time - until Bob Hawke's Government Federally, and not in Western Australia until 2004. And the trend now is towards longer Parliamentary terms, not shorter. The great Exhibitions in Melbourne in 1880 and 1888 and in Sydney in 1888 indicated high levels of optimism, faith in science, and a radical determination, suggesting that what Geoffrey Blainey called 'the tyranny of distance' actually operated in our favour. The Australian Labor Party was founded in 1891 and in the first years of Federation, under Deakin and Fisher, there was the beginning of a welfare state and a system of wage arbitration that is only now being dismantled. Australia (like New Zealand) was a social laboratory, and most of the experiments worked. Then in 1914 came World War I, and this knocked the stuffing out of Australia for decades. The Gallipoli legend notwithstanding, the impact of the War - apart from the appalling casualty rate - was to destroy the sense of confident independence forced on us by isolation, and replace it with a sense that the world is not such a big place - Gallipoli and Egypt and the Western front were not so far away from Ballarat or Melbourne, and Australia is a rather small player. We could not do things on our own. In the 1920s, the spirit of public confidence that marked the 1890s and 1910s was much diminished, replaced by a deferential sense that the Mother Country knew best. I give a specific example. When the Prince of Wales and General Sir William Birdwood, under whom the ANZACs served, visited Australia in 1920 they were feted everywhere and Birdwood was honoured by the Parliament. Sir John Monash, Australia's greatest general, received no such honours and was only promoted a decade later, just before he died. The great Major General 'Pompey' (H E) Elliott was also passed over for national recognition, despite his inspiring leadership, and committed suicide in 1931. The Australian economy went through a long dip between 1914 and 1938, we suffered more seriously in the Great Depression than any other country but Germany, but felt that we had to ask Britain to help us out, tell us what we had to do. Failure of nerve over Walter Burley Griffin's ambitious plans for Canberra is another example of national diffidence and deference. The Adelaide historian Professor John M. Tregenza delivered an important paper, Immigrants and Innovation, 1880-1939 to the 41st ANZAAS Conference in August 1969. It was reported widely at the time, but appears never to have been published. Professor Hugh Stretton found a copy of the paper for me and had it retyped, a typically generous act. Tregenza argued that although by 1900 only 18 per cent of Australia's population had been born in the United Kingdom, immigrants, not the native born, had been the driving force for social, political and cultural change in the period 1880-1914. John La Nauze pointed out that of the thirty-six 'undoubted Founding Fathers of the Commonwealth', twenty one were immigrants (sixteen arriving after the age of sixteen, five as children). Labor's first three Prime Ministers were immigrants, as were important figures in painting (Roberts, Withers, Conder). science and technology (Farrer and Lowrie), the law (Higgins, and all Victoria's Chief Justices until 1935). Tregenza wrote a biography of the radical intellectual Charles Henry Pearson (1830-1894), called Professor of Democracy (1968). Born in London, a Fellow of Oriel College, Oxford, Pearson held a chair in London, then migrated to South Australia for his health in 1864. He became a journalist, writer of Age editorials, history lecturer at Melbourne University, principal of the Presbyterian Ladies' College, Melbourne, a Victorian MP, educational reformer, Minister for Education, promoter of the Ballarat School of Mines, prophet of China's potential, and advocate for White Australia. Pearson really dreaded, he wrote, 'the conservative apathy of men partially shut out from the world and coming to believe that the trodden way is the best, than any revolutionary fervour for sudden and great changes'. The immigrants had come to Australia for a variety of reasons - Chartists, disappointed Liberals, religious dissenters, gold diggers seeking wealth and adventure, professionals seeking new opportunities, and those whose liberalism had been 'burned into them... by memories of class rule and of intolerable wrong in the old country'. Figures such as John Dunmore Lang, Henry Parkes, James Service, Charles Gavan Duffy, George Higinbotham, Cardinal Moran, William Lane, Peter Lalor, H R Nicholls and Raffaello Carboni were all in that category. Tregenza took up Pearson's argument that Australian natives are much less likely than migrants to wish to change society, that their teachers have themselves been trained in the system, receive little stimulus to explore new ideas and were shaped by isolation and social homogeneity. Australia was the only world they knew, it was a pretty good patch and they had no experience or observation of other systems. On this Pearson-Tregenza thesis, when the generation after the 'Founding Fathers', mostly native born, came to dominate Australian politics they were, with the important exceptions of Charles Cameron Kingston and Alfred Deakin, largely conformist, conservative and self-righteous. They created powerful institutions which 'were themselves innovations, but once established... tended powerfully to discourage future experiments. The positive result ...has been the creation of a society unusually free from violence and deep social antagonisms... the negative result a profound resistance to serious debate, to social variety and to new ideas'. (Monash and Elliott would have to be regarded as exceptions to the thesis). After World War II, however, there was a strong revival of the radical tradition, with Australia adopting visionary post-war reconstruction schemes initiated by Ben Chifley, ably assisted by 'Nugget' Coombs. Bert Evatt was a leader in creating the United Nations and Labor initiated a mass migration program, under the direction of Arthur Calwell, which created Australia as a multi-cultural society. Evatt fought and won a referendum in 1951 to defeat a proposition to ban the Communist Party. Labor was out of power Federally between 1949 and 1972, due partly to the ALP split over attitudes to Communism in 1954-55, and Robert Menzies, who grew up in Ballarat won seven consecutive victories. Then he retired, and the Liberals fell apart over personalities. Gough Whitlam, who has been a frequent attender at these lectures, became Labor leader in 1967 and Prime Minister 1972-75. His radical agenda transformed foreign policy, education, health, the environment and Aboriginal affairs. Most of it was retained by Malcolm Fraser's Government and elements are only being demolished now under John Howard. In his 90th year, Gough Whitlam remains a shining light of Australian radicalism and an inspiration to me. Hawke and Keating led progressive and dynamic governments between 1983 and 1996 - an unprecedentedly long period in national office for the ALP. Courage is very much out of fashion in Australian public life. We are going through a period of ultra-caution, shaped by the events of September 11, 2001. I draw your attention to the Australian edition of a useful American book Don't Think of an Elephant by George Lakoff (Scribe, 2004). He describes 'wedge politics' and 'dog whistle politics' in the US and also analyses the importance of 'framing' issues, something which the Right in the US is skilful at. John Howard has been particularly good at 'framing' issues, for example 'counter-terrorist legislation' (a.k.a. 'infringement of civil liberties'), so that any objection to his suspension of the rule of law, or even criticism of the Hicks case, is denounced as anti-American or un-Australian. If Howard then sets the agenda, and Labor acquiesces, then the prospect of opening up the argument disappears. Australia's draconian Anti-Terrorism Bill (No. 2) 2005 is harsher than comparable legislation in the US and UK, imposed heavy penalties on committing, participating, recruiting, supporting, advocating or justifying acts of terror. What about analysing terrorism? Conducting research? Attempting to explain or understand? Where is the line to be drawn? There were legitimate fears that the laws might inhibit research or reportage. Liberal dissidents showed courage in arguing for amendments, including a reduced sunset clause (from ten to five years). Malcolm Fraser made a robust defence of civil liberties in a speech at Melbourne University on 29 November: "The fact that the Government, with the support of the Opposition, has moved so far away from the rule of law demonstrates the fragility of our grasp of a liberal, democratic society." If we stand silent in the face of discrimination and in violation of the basic principles of humanity, then we betray our way of life. We must fight extremism, fundamentalism, terrorism, whatever its origins, whatever its objectives but we must be confident we can best defend our free society by adherence to our own principles. Compared to Great Britain, the Australian Parliament has very rigid Parliamentary discipline, members rarely, if ever, cross the floor, discussion is guillotined or gagged, debates never change the result of a vote, public service evidence is subject to Ministerial directives, committees face impossible deadlines and as the number of MPs increases, sitting time decreases. The House of Representatives then becomes little more than an electoral college to choose the Executive. Parliament has lost much of its moral authority, the public service has been increasingly politicised, even universities have adopted the cult of managerialism, the media is preoccupied with infotainment, and lobbying ensures that vested interest has far more influence than community interest. Australian critics or whistle-blowers are routinely dumped on, a technique reminiscent of Richard Nixon's 'enemies list'. Promotion and marketing had become central elements in Government after I left it. Cosy relationships between Government and media proprietors, and the invocation of patriotism made critical analysis seem almost subversive. Ideology was far more important than principle. In the mass media, with the rise of 'infotainment' and increasing reliance on advertising, promotion and 'life-style' promotion, opinion is displacing reportage. We used to speak of the 'thirty second sound-bite' in television news, then it was reduced to fifteen, later to seven. The view of Iraq from Beverley Hills carries more clout than observations from Baghdad. Disturbing news, such as the number of civilian dead in Iraq, is suppressed. I could not get my head around the concept of two Australian nationals, David Hicks and Mahmoud Habib, being arraigned before a US military commission for offences, extra-territorial and retrospective, created by Presidential decree, allegedly committed in Afghanistan when it was ruled by the Taliban, nationals who had been kidnapped, then sold to the United States, tortured or abused in client states, and ultimately taken to a place, Guantánamo Bay, in Cuba, deemed to be beyond the reach of US and international law. Until US courts intervened, trials in Guantánamo Bay would have allowed use of prosecution evidence extracted by torture. It worried Amnesty International and senior American lawyers, and the British Government secured the return of its nationals being held by the Americans. Habib's case was dropped due to lack of evidence and he was returned to Australia. That Hicks could not be tried for offences against Australian law was actually used as a justification for leaving him in American hands. Even after the Red Cross and US military prosecutors made damning criticisms, the Hicks case did not disturb the Howard Government. It did not seem to worry the Australian Labor Party either. The central issue is the rule of law. It is not a Left or Right question. It is a fundamental tenet in a free society. Was Ivan Milat entitled to it? Certainly. Martin Bryant? Yes. Bradley John Murdoch? Yes. What about David Hicks? I hope so. I would like to see Labor make an absolute commitment to the rule of law, habeas corpus, presumption of innocence and total opposition to the use of torture. I hope we will say these things, soon. The Anti-Terrorism Bill (No. 2) 2005, rushed through the House of Representatives last week, preserves the existing laws on sedition, dating from World War I, when they were never used. Imprisonment for seven years is prescribed for urging the overthrow of the Constitution or Government or interference in a Parliamentary elections 'by force or violence'. But 'recklessness' is also punishable. An offence is committed if a person urges another person to assist 'by any means whatever' an 'organisation or country' which is 'at war with the Commonwealth, whether or not the existence of a state of war has been declared', providing that the enemy status has been specified by Proclamation. However, there is a defence for acts done in good faith by anyone to tries to show that any of 'the following persons are mistaken in any of his or her counsels', and what follows has an antique quality: lists setting out the Sovereign, the Governor-General, the Governor of a State, the Administrator of a Territory, and what is coyly described as 'an adviser to any of the above'. Who could they be? Prime Minister? Foreign Minister? Treasurer? Member of the Reserve Board? The burden of proof is on the accused. It is ironic that 30 years after the infamous dismissal of the Whitlam Government by Sir John Kerr that Gough Whitlam and Malcolm Fraser are making common cause on human rights, as they did earlier on the Republic, Aboriginal reconciliation and the Iraq War. They are co-patrons of ESMA. The Australian political process has moved dramatically to the Right in the past decade, and Malcolm Fraser would now be to the Left of all but a handful of current members of the Commonwealth Parliament. This is a time that Australia needs courage, vision and generosity of spirit. In the elections of 2001 and 2004, John Howard showed remarkable skill in settling the terms of engagement in the election campaign. He proposed, Labor fell into his trap and responded. I expect that 2007 will be different. The election will be fought on industrial relations. The great priority for the whole Labor/Labour movement is to defeat the proposed destruction of Australia's existing industrial relations system, often regarded as having been the world's best. The proposed changes commodify personal and family life, weakening the capacity of marginal and vulnerable workers to seek collective assistance, rebranding 'security' as 'rigidity', and 'insecurity' as 'flexibility.' Understandably, church leaders including Cardinal George Pell, Archbishop Peter Jensen, the Salvation Army, community and welfare groups are united in their concerns about the threat to family values, and the destruction of hard-won concessions for recreation leave, by reinforcing insecurity and the desperate pursuit of dollars by people at the lower end of the socio-economic pyramid. There are striking regional differences in political attitudes in Australia. Melbourne appears to be more radical and committed to causes than Sydney, a phenomenon first observed in demonstrations about the Spanish Civil War, in the Vietnam protests and most recently in the comparative turn-out in the IR protests on 15 November: 220,000 in Melbourne, 45,000 in Sydney. Ballarat's turn-out of 5,000 was community based, including many non-unionists. Labor has shown courage on the I R issue - and the community has responded, even people who are not unionised. Voters will reward courage and we should be showing more of it. Dr LAWRENCE (Fremantle) (7.46 p.m.)-I guess in some ways the quote that should head up the Anti-Terrorism Bill (No. 2) 2005 is the one that is incorporated in the explanatory memorandum: 'I am safe but unable to be contacted for the time being.' That is a pretty chilling suggestion of the way in which people should say that they have been detained. I want to make a number of criticisms of the proposed antiterrorism laws. Firstly, they fail to conform with the key values of a liberal democracy. This is the most fundamental criticism. Secondly, they deliberately breach the Constitution by pushing some of these conditions onto the states. Furthermore, they offer no or poor justification that the proposals are actually needed or will be an effective means of preventing ideologically or politically motivated violence. Being tough is not good enough; they should be effective. The proposed laws remove fundamental rights and in so doing they play to the terrorists' script. Indeed they are removing rights that it is claimed we are defending from terrorist attack. The bill also lacks clarity and precision, especially in the sedition provisions. There has been inadequate public discussion. If it had not been for Jon Stanhope, the discussion would have been even more severely limited. While some pretty crude opinion polling suggests that many Australians are responsive to calls for these proposed antiterrorism laws, it is fair to say that they have not heard the arguments. There has been a conspicuous lack of information about the nature and extent of the terrorist threat, and they cannot sensibly judge whether these laws are justified. Indeed it is difficult enough for members of parliament, despite the Senate Legal and Constitutional Committee inquiry report coming down today. I will also indicate the key provisions of the legislation which are of concern to me, and I know to a great many others, and the dangers associated if the bill is implemented in its current form. The fundamental test is, of course, whether these laws are necessary, particularly given the threat they pose to the civil and political rights of Australian citizens. The key values of a liberal democracy are challenged in this, so we have to hear an argument for why they should be set aside. For example, we need a full explanation of why existing laws are not adequate, what the new powers are for and why they are needed. We have not had that argument either from the Attorney-General in his eight-minute second reading speech or from anyone else. Are they proportionate to the threat that we face? As argued by the lawyers from the Gilbert and Tobin Centre of Public Law, relative to measures adopted in the United States and Britain, these laws are more extensive and invasive, despite the lower risk of a terrorist attack in Australia. There is no argument from anyone that I have heard that Australia faces an actual or imminent emergency 'threatening the life of the nation', as required under international law if we were to adopt these extreme measures. To suspend basic rights such as freedom from arbitrary detention there must be an actual or imminent emergency which threatens the whole population. We have signed up to these conventions and that is what we say we will do. There is no threat to the population, the existence of the state or the functioning of state institutions as required under international law, nor has Australia sought to notify the United Nations, as required under the relevant convention. What is more, the alert level has been set at medium since 2001, meaning, as it says, a terrorist attack in Australia 'could occur'. It has never been set at high or extreme. The United Nations has been very clear that states must ensure that any measure taken to combat terrorism complies with all their obligations under international law and should adopt such measures in accordance with international law, particularly international human rights, refugee and humanitarian laws. If we are to adopt laws of this kind we in this parliament need to make the case that the laws are necessary because no other laws are capable of dealing with those planning, assisting or inciting terrorist acts. I do not believe the government has done that either. They are already criminal offences. If police have evidence that someone is planning or assisting a terrorist act, they should arrest them, charge them and detain them, until trial if necessary. It is not clear that the existing laws are insufficient to address the terrorist threat and we know, because this parliament passed the laws, that ASIO already has powers to question and detain people suspected of having information related to a terrorism offence. Parliament gave ASIO extensive powers to question and detain people for up to seven days. The Australian Federal Police may hold suspects for an extended period of 24 hours. ASIO has also been given a massive increase in resources and expanded powers of surveillance and evidence gathering. New terrorist offences have been created in law, and wider powers to ban terrorist organisations and prevent terrorist financing have been conferred over recent years. Despite the breadth of these powers, Australia has seldom made use of them. As far as I know, only 10 people were questioned in 2004-05 and none detained by ASIO. Before the recent arrests, there were very few arrests for terrorism or terrorism related offences. Indeed the arrests three weeks ago indicate that existing provisions do allow for those people who are planning terrorist acts to be charged under existing legislation, to be charged and detained while respecting the normal safeguards, including the presumption of innocence, although I must say that some sections of the press and some premiers have set that aside. Does it demonstrate that current powers are adequate? If there are gaps, why not cover them by creating offences in the Criminal Code, if it is demonstrated that the code is inadequate? We are told that the London bombings and the evidence of home-grown terrorist acts were justifications for this legislation but I do not think they are compelling arguments. We knew we had home-grown terrorists; there is one in jail in Perth and the perpetrators were not known in London. Indeed, despite the legislation there, such laws did not help and would not have helped. The United Kingdom, as we know, was trying to introduce similar laws but they were being subjected to close scrutiny and tests against the Human Rights Act, something that we do not have in this country-we do not have those protections. I think it is worth asking the question: what will these laws achieve that concerted surveillance could not? It is possible that the focus on new laws may deflect attention from practical counter-terrorist measures and resources as well. The laws are no substitute for properly enforcing the existing law and they might hamper the efforts to address the structural causes of some terrorist violence by alienating big sections of the Islamic community. The Government ... has not spelt out clear deficiencies in current laws nor demonstrated a compelling practical need for a secret and draconian counter-terrorism regime. The federal government and the state governments, for that matter, have failed to provide adequate justification of how these measures, with their severe curtailment of rights and freedoms, are proportionate to the threat. I think it is probable that many Australians will not care if the government succeeds in creating illusions of security and prosperity with these laws. Amanda Vanstone's comments in this respect are illustrative: it is not about actually making change, it is about making people feel better-do something, anything will do. My second major set of objections is that the measures represent a very serious departure from the key principles of liberal democracy. They overturn fundamental values and hard-won rights, rights that have been fought for over centuries: the right to liberty, freedom of speech and freedom of association. There are various measures in the bill that offend these values and others, including the separation of powers and due process, for instance. The control orders are effective house arrest. Preventive detention is detention without trial by any measure or without the legal testing of the evidence. Sedition, the invasion of privacy, the denial of access to preferred legal counsel and the overturning of the presumption of innocence-these are big shifts in our legal system. It is impossible ever to overstate the importance of the right to liberty in a democracy. ... not by the way it treats the majority of its citizens but by what it does to its minorities, its criminals, its troublemakers and its misfits. It is a basic right, and one I cherish, that only a court may detain someone and then only persons charged with a crime. That is being overturned by this legislation. The police function is then limited to bringing people to court expeditiously. It is a long-standing principle underpinning our legal system. It is also included in the obligations under the International Covenant on Civil and Political Rights to which we are a signatory. The prohibition on arbitrary or unlawful arrest or detention is article 9 of that covenant and, for these reasons, the Law Council and others recommend that the government abandon preventative detention and control orders. I am very worried that this legislation confers unprecedented powers on police and security organisations. The breadth of the proposals to date is extraordinary and so is the potential for innocents to get caught up in the net. It requires us to trust police security agents who have in the past shown they are capable of corruption, political partisanship and just plain incompetence. Why should we trust them to act without scrutiny? We have never done it before. The other thing about these laws is that they are based on intelligence, not evidence, with all the weaknesses that entails. There is no reason to expect that serious mistakes will not be made; indeed, the chances of errors and abuse are greater than normal because the police will be acting on vague information that would not justify a charge and that will not be tested in the normal way. As we know, momentous consequences can flow from errors of intelligence and unfettered administrative licence. We only need to look at the war in Iraq, the experiences of Cornelia Rau and Vivian Solon and many other examples. A public servant contacted me recently and said, 'As a public servant who has worked in both Defence and Immigration, I am only too conscious of the way that lack of transparency and strong statutory powers can result in abuses of power and the undermining of human rights, irrespective of the original sound intentions of everyone involved.' These laws too, as I mentioned earlier, overturn the presumption of innocence, which is a very fundamental shift. Normally, individuals are presumed innocent until proven guilty in a court of law upon adequate proof which is properly tested. Under current law, individuals are presumed innocent and are generally free from coercive powers, except arrest powers in relation to persons suspected on reasonable grounds of committing a crime, who must be brought before a judicial officer after a short period of detention. That is the way things are today. As President of the Human Rights and Equal Opportunity Commission, John von Doussa, said, 'The key characteristics of a police state are that the police exercise powers on behalf of the executive and these powers are not subject to independent judicial review, including a review of the factual basis on which the powers are exercised.' These proposed laws substantially alter the relationship in this respect between citizens and the state. They inevitably mean a more controlled and compliant population and they marginalise political dissent. ...the involuntary detention of a citizen in custody by the State is permissible only as a consequential step in the adjudication of criminal guilt of that citizen for past acts. It is not about something that it is feared they might do on the basis of intelligence rather than on evidence. Of course the secrecy provisions of these laws are anathema. The secrecy that surrounds the process, in my view, is the antithesis of justice as we know it in our community, an essential aspect being that it is public and accountable. These laws effectively protect officials from scrutiny. There is no real transparency. There is the possibility of mistaken identity and faulty intelligence, which will not be easily corrected. People can effectively disappear and it can happen to anyone. Police will be able to detain without charge on their own initiative and that is truly revolutionary in the worst possible sense. As we have heard from other speakers, the sedition sections pose a particular risk for artists and activists critical of government or of those reporting their statements. I am sure it is for that reason that senators recommended abandoning this section. Why not use the ordinary provisions of the Criminal Code if there is incitement to commit an offence? Despite assurances at the COAG meeting, the bill makes no reference to the principle that restrictions on rights should be read in accordance with Australia's obligations under the International Covenant on Civil and Political Rights-the premiers were actually dudded on this point-let alone the UN Convention on the Rights of the Child and other human rights treaties about which they were also given assurances. The English Prevention of Terrorism Act 2005 adopts just that model for control orders. The police apply for a control order at a preliminary hearing in the absence of the person in question. If a control order is made, there must be a full hearing within seven days. That is somewhat similar to our own circumstances. The article goes on: Before the full hearing, the police must place all relevant evidence before the court - that is a grave difference from our system - subject to security - they must provide the controlled person with a copy of that evidence. The controlled person must also provide his or her evidence and then the full hearing takes place. If the court confirms the order, there is a right of appeal on the basis of legal error. As David Neal points out, 'The Anti-Terrorism Bill 2005 contains nothing of the sort.' So we simply cannot make comparisons with the UK legislation because it is not similar. He asks: 'Why is a full hearing possible in the United Kingdom-with all the threats it faces-but not in Australia?' Because this is quick and dirty legislation and it is not really designed to improve our safety. The other thing that I want to refer to in the brief time I have remaining is the lack of checks and balances and parliamentary oversight. The so-called protections are very weak. A 10-year sunset clause is far too long. The judicial review is welcome but incomplete. The judge or magistrate has no comprehensive way of testing what is claimed by authorities. Indeed, it creates a false impression of due process and it is open to abuse for political purposes. It is of concern to me that a politician-the Attorney-General-will have a role in deciding whether certain orders or prosecutions proceed. This minister has form! That is why, in the criminal system, the Office of the DPP was created: to rule out political influence or interference and to ensure the separation of powers.